Healthy Homes: Homeownership is a crucial foundation for helping families with low incomes build strength, stability and independence. 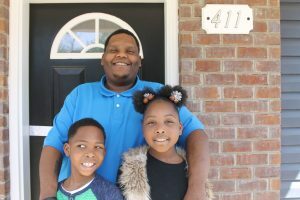 When families move out of substandard housing and into decent and affordable homes, their health, educational attainment, safety and personal wealth often improve. Applications are now available April 1- April 30th 2019! Have a need for housing/shelter. Must be a permanent resident of the United States for at least 2 years. Bankruptcy must be discharged for 2 years. Have the ability to pay a monthly mortgage & have steady income/employment for 2 years. Have not owned a home within the last 3 years. Be eligible to open/maintain a savings account. Live or work in Rutherford County for at least 6 months. Be unable to qualify for a conventional loan due to income level. Show willingness to partner with Habitat. Be able to pay a minimum of 1% of the sales price down payment/closing cost. 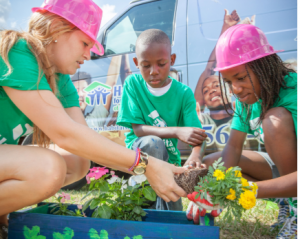 Be willing to perform a minimum of 300-400 hours of “sweat equity” by helping to build Habitat homes, including your own. Complete a mandatory 30 Hours of Home Buyer Education Class. Complete a mandatory 8 Hours Post Purchase Education Class. The Special Build Project will build 1-2 homes beginning in the Fall of 2019. The homes will be built, sold and ready to move in by December 2019. The families/person will be selected for these builds by using a score sheet based on need for housing. If accepted, the Future Homeowner will be expedited through the Homebuyer Education Class. Sweat Equity Hours will be adjusted to meet the expedited build schedule. The Future Homeowner must be able to save the estimated $2000.00 closing cost /down payment in less than 6 months. All other program criteria and requirements must be met. Please view the lots before applying, there are no other lots available for the Special Build. To apply online – you must have the ability to print the application out and return it. The application will be emailed to you, for you to print out, complete and return. RCHFH is currently ONLY building homes in the Murfreesboro area. The 2020 – 2021 regular scheduled builds are only in Murfreesboro, but are NOT in the same area as the Special Build Project. If you prefer to live in Smyrna or LaVergne, please do not apply this year, as we currently do not have a date for when we will build in those areas. We apologize for any inconvenience. Email the Homeowner Services Coordinator, angie@rchfh.org to request an application. This class will give suggestions for improving your financial situation, credit repair, lowering debt, money management & how to become a successful homeowner. Follow the suggestions & return next year to re-apply. Keep in mind many families apply several times before getting accepted. Unfortunately, Habitat is not emergency housing. It can take up to 18 months to complete the program and purchase a home. Congratulations to Habitat Build #159, the Custer Family! 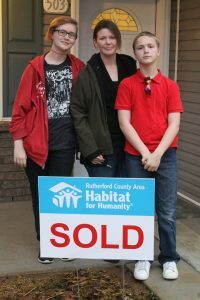 Congratulations to Habitat Build #157, the Queary Family! 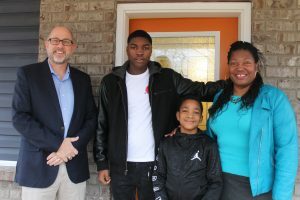 Congratulations to Habitat Build #155, the Batey Family! 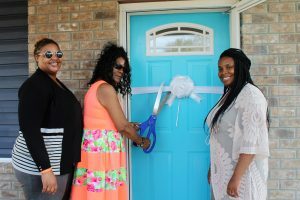 Congratulations to Habitat Build #153, the Martin Family! 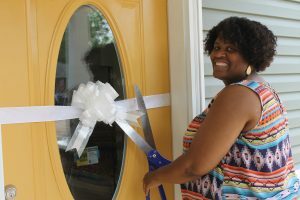 Congratulations to Habitat Build #151, the Greer Family! 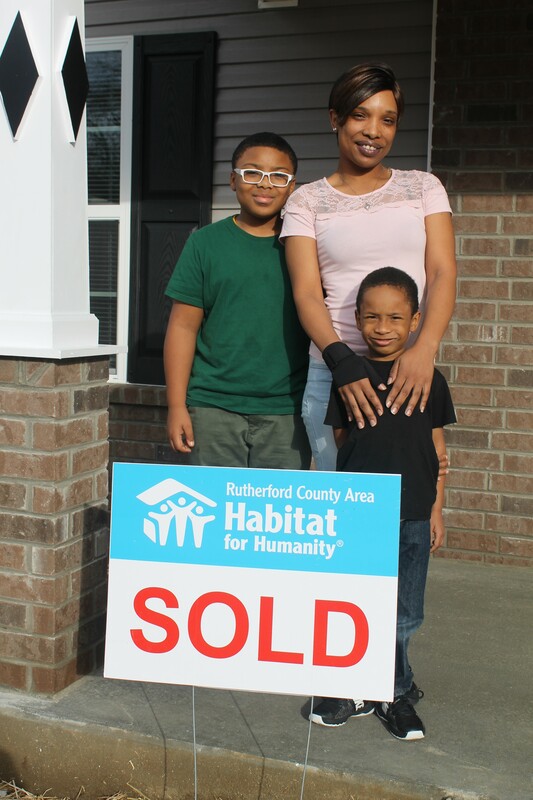 Congratulations to Habitat Build #149, the Mayfield Family! 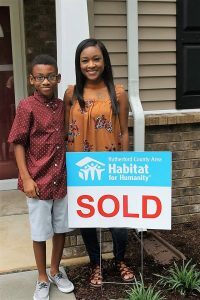 Our current Habitat Build #160, the McDonald Family! 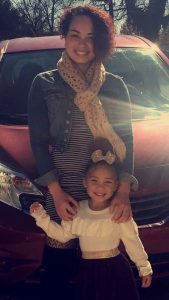 Congratulations to Habitat Build #158, the Pettus Family! 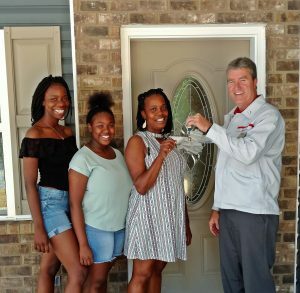 Congratulations to Habitat Build #156, the Harrell Family! 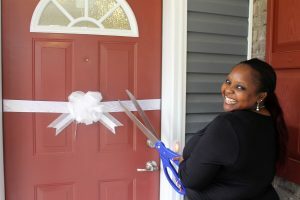 Congratulations to Habitat Build #154, the Baker Family! Congratulations to Habitat Build #152, the Taylor Family! 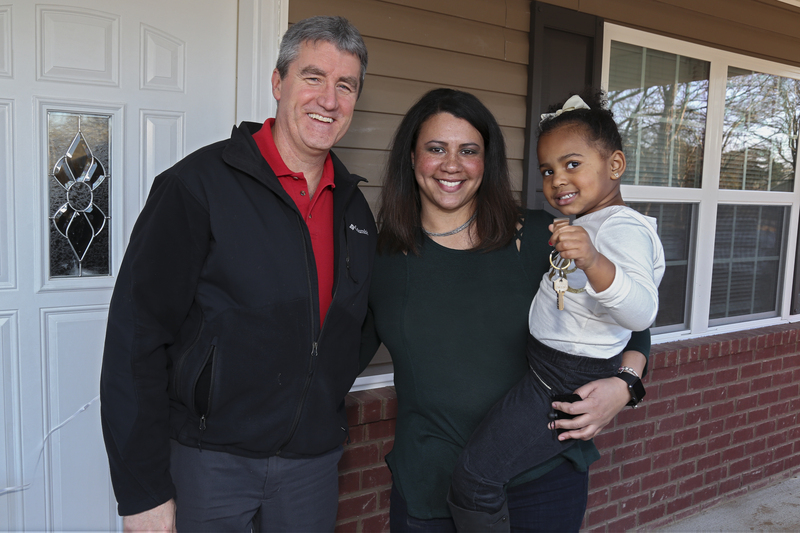 Congratulations to Habitat Build #150, the Smith Family!